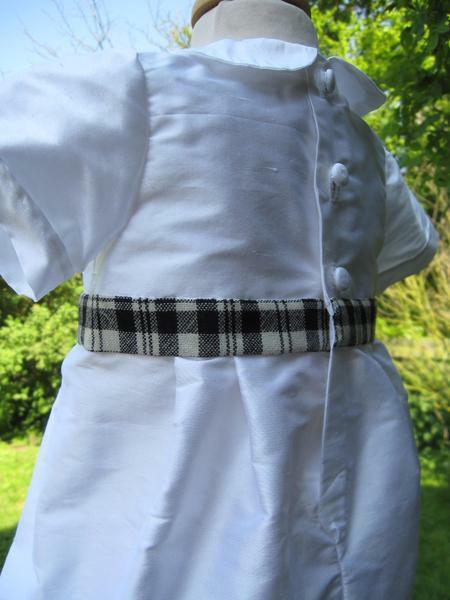 This romper is a lovely style for showing off your baby boy's heritage. 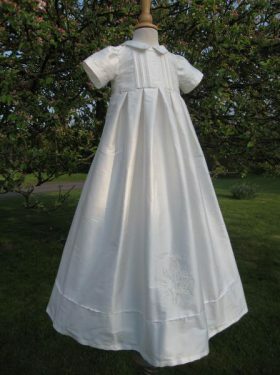 Created in 100% pure silk dupion the romper bodice has beautiful pintuck detail with hand crafted silk button. 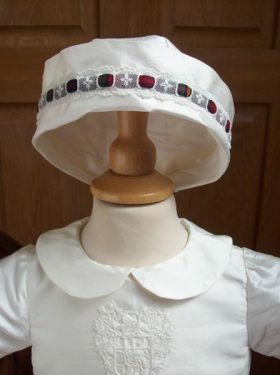 A small Peter Pan collar and short sleeves again with pintuck detail compliments the design. 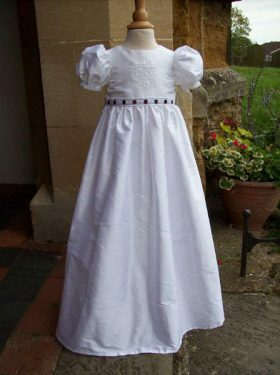 The knee-length legs join the bodice with narrow pleat detail. 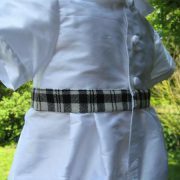 Finally a tartan belt gives the romper a touch of heritage. 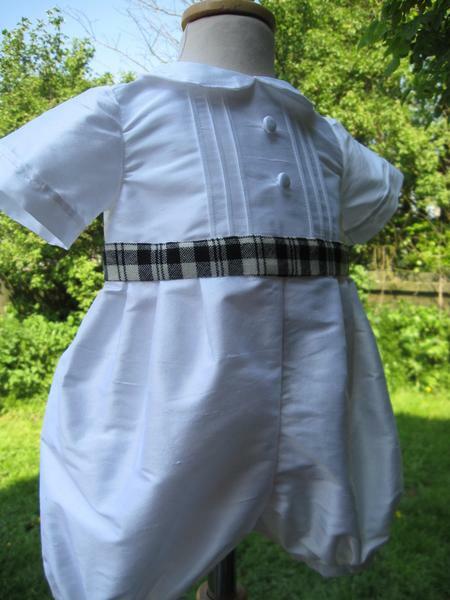 This romper is available in white or ivory silk dupion. 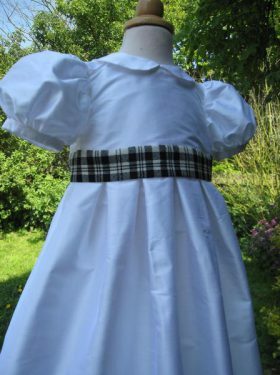 It will be decorated with your choice of tartan. 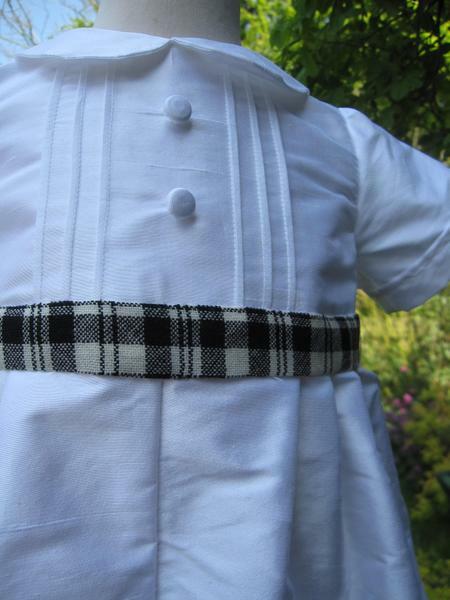 The Ethan Romper is a welcome addition to the Little Doves Scottish Collection and really is a classic style. 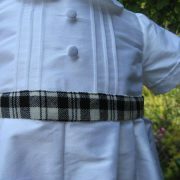 All Ethan Romper accessories are made to match the Christening Romper using the same silk fabric and matching tartan trim.